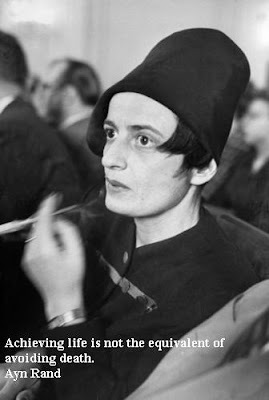 Alisa Zinov'yevna Rosenbaum or popularly known as Ayn Rand was an Russian American novelist, philosopher, playwright, and screenwriter. She is best known for her two best selling novels, The Fountainhead and Atlas shrugged. Here I have compiled down some of the best Ayn Rand quotes. Hope you like this quote collection and learn something new here.